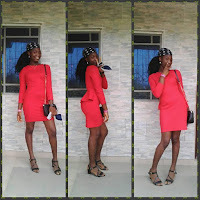 So i don't want to be enjoying alone, that is why i published this article on how i get free airtime using MyAds App. 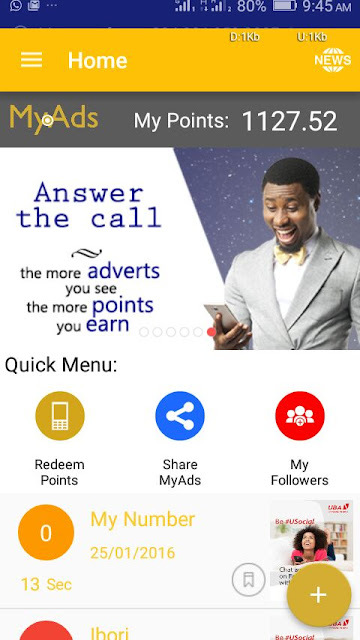 MyAds app is an Android Application designed to Show All manners of Ads on your phone when ever you receive calls, and in return credit you with some points, which you can convert to airtime of any Network of your choice. MyAds app is a very cool application which does not require any root access, and very good for those of you that receive lots of call, and you can actually send it to your girlfriend, so you won't have to buy airtime for her always because Myads Got you covered.. #lol. By simply downloading and installing this app, you are required to register with your mobile number with the app, by registering the user agrees to have his/her phone receive mobile adverts through incoming calls. 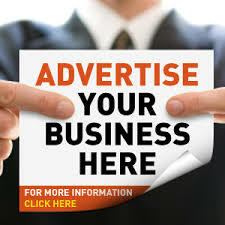 MyAds subscribers who receive calls for more than 20 seconds earns points which can be converted into airtime recharge for the subscriber’s phone or shared with any other MyAds customer. You can also earn points when a someone download the App using your referral link. So what are you still waiting for? Start earning points now from MyAds app after receiving calls. 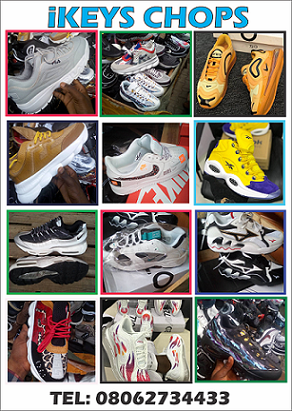 => Click the menu button at the top left corner of the app user interface, you will see a drop down menu. 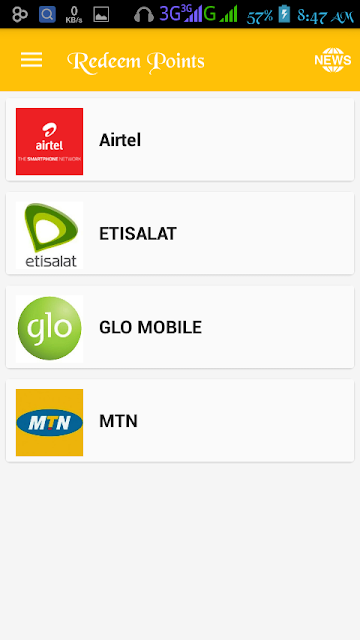 => click on "Redeem Points" and choose "Prepaid Mobile Recharge"
=> Click on the any icon based in the Network you are using to be directed to the next page. 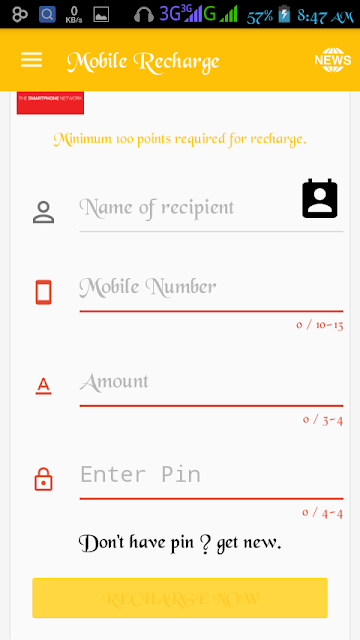 => Fill in the Mobile number you want to credit with airtime and the amount you wish to have credited to the account. => Click the ‘Recharge Now’ and you are through!